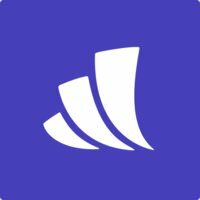 Tell us what you like and dislike about Wealthfront. Help others make more informed decisions based on your insights. Set it and forget it. Started with just a diversified investment portfolio. Have since added IRA's - which they made easy to do. They've made it more complicated since I first joined. Stick to what you're good at instead of building features. No hassle investing. Set it and forgot it. Really good for first time investors. Hard to have an overall view of all investments. The investment paths sometime innacurate. They have a 529 College Savings plan option and automated monthly deposits. Performance has been better than competitors over the past year. Costs are pretty low, especially for new investors just starting out. The app works well, but has a lot of distractions in my opinion. I love the way Wealthfront has been designed to take the complexity out of investing. It’s a great way to set your risk allowance and let the AI take over to see your portfolio through to success! The automated tax-loss harvesting and rebalancing are huge pluses! They could provide a little more flexibility in the options I want in my portfolio, even with the risk allowance I choose. Easy to use, intuitive interface. Easy to customize to personal goals, and test out different future scenarios. Aside from planning based on risk aversion, it would be nice to have an option to choose exposure to different industries/sectors/countries. Super simple. I have seen higher yields on my investments compared to my friends using other services. I feel comfortable giving them my money because they are clear about every step they make and frequently communicate new efforts within their company. They also send high-level recommendations as the market changes, which I appreciate. Ideally, the returns can be even higher but that’s idealistic. Higher returns mean higher risk. Easy to map out my retirement plan, look at my overall budget and money, income, taxes, etc. Needs more investment strategies and better ways to educate its users. Notifies you when the portfolio is rebalanced or tells you that you are balanced. Shows current and projected net worth at retirement and how that money will last based on your projected standard of living. Integrates all the accounts I have. The setup and wire transfer were quick and seamless. Would love more news and insights based on my risk profile and investments. I keep having to renew a particular account link, which is probably due to that provider’s API and not Wealthfront, but it’s frustrating. Simple, easy and straightforward to understand all fees and returns. More options would be wonderful, something like creating a milestone and save money for something smaller. Simple setup and ease of access, flat design and easy to use! The savings suggestions don't take into account of spikes in funds. Wealthfront's 100-strong team manages more than $10 billion in assets. Based on Finimize's research, Wealthfront takes on slightly more risk than the average US robo advisor.